London We may think that Congress does nothing but try to repeal the Affordable Care Act, and although they do a whole lot of that, like it or not both parties do come together every blue moon to amend the Affordable Care Act, but when they do so, it’s not necessarily a win for the lower income workers and families that need the coverage the most. Once again I’m harping on the theme of allowable deductibles under Obamacare. Why didn’t we have that nationally with Obamacare? 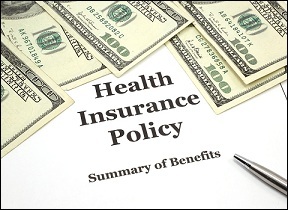 The Affordable Care Act requires annual cost-sharing limits on coverage as part of the essential health benefits package required for plan years beginning in or after 2014. As enacted, it provided for annual limits on total cost-sharing and for annual limits on deductibles for insured employer-sponsored plans offered in the small group market. Section 213 of the Protecting Access to Medicare Act of 2014 (Pub. L. No. 113-93) eliminated the $2,000/$4,000 limitation on deductibles for affected group health plans retroactive to the March 23, 2010, enactment of the Affordable Care Act. Unfortunately what that bit of doublespeak means is that for large employer and self-funded plans there are no deductible limits, which is why Local 100 United Labor Unions and many others are confronting the problems of substandard group plans being proposed by larger employers which are totally inferior and worthless compared to what might be available to the same lower wage workers under the Affordable Care marketplaces. For small employer and individual plans, the limits on deductibles under the Act are the same as my friend showed me in Massachusetts at $2000 for individuals and $4000 for family. Though getting little attention in the aftermath of the new law, there is a second consequence of the new law. The separate limit on deductibles posed something of a challenge in designing Bronze-level and Silver-level plans, i.e., plans with, respectively, 60 and 70 percent actuarial value. The Department of Health and Human Services recognized as much in final regulations implementing the Affordable Care Act’s rules governing essential health benefits. According to 45 C.F.R. § 156.130(b)(3): “A health plan’s annual deductible may exceed the annual deductible limit if that plan may not reasonably reach the actuarial value of a given level of coverage. . . without exceeding the annual deductible limit.” In other words, the separate cap on deductibles could be exceeded where necessary in order to get to a particular level of actuarial value. This was not the fix that millions of lower waged workers desperately needed in order to finally make fake employer coverage and compliance under the Affordable Care Act real. In fact quite the opposite. I guess those workers for smaller outfits should feel lucky, because with this alternation, the bigger the outfit, the worse the pain, and the more worthless the health care policy for many under Obamacare. This entry was posted in Citizen Wealth, Financial Justice, Health Care and tagged Affordable Care Act, deductibles, low wage workers, obamacare by Wade. Bookmark the permalink.